This week we are sharing the story of Dunia Osorio who can be seen as a hero to the children of Choluteca in Honduras. She began by photographing the beauty of her country when her overseas British friend, Pete Towle challenged her to photograph the opposite. 60% of the Honduran population live under the poverty line and only 51% of children who register for primary school, complete the course of education. Dunia started capturing the reality of many: children selling fruits or begging for money on the streets and offering an extra pair of hands to parents in order to increase income, instead of attending school. Pete was shocked at what he saw in the photographs. The two embarked on a journey to help the children of the country and created ‘Brighter Lives’, a voluntary organisation which now has 12 volunteers from the local community who want to make a difference. They used photography as their main tool to raise awareness and gather funds to better the lives of the misfortunate children. Photography began as a hobby for Dunia, it was only when she joined the photo sharing community of Flickr and engaged in some online classes that she met Pete, who was her photography mentor. Dunia’s Flickr photostream has captured the smiles of the children and also the hardships they have had to face at such a young age. In 2013, calendars printed with Dunia’s photographs were sold in the UK to help buy clothes and toys for the children of Honduras. That was the seed for their Christmas project that year, which delivered 380 parcels of donated clothes, shoes and toys to local orphanages and neighbourhoods. 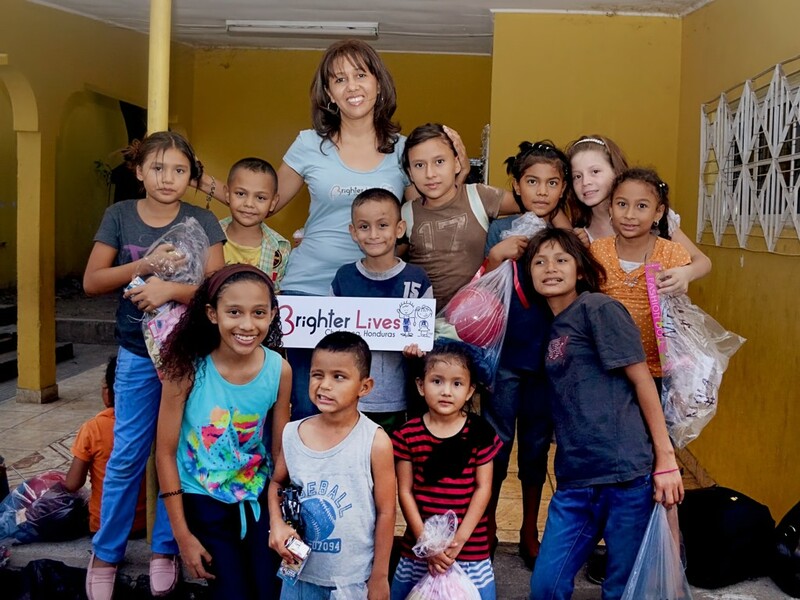 Last Christmas, only a year after its beginning, Brighter Lives managed to deliver 680 parcels. This year, Brighter Lives wants to make that figure even bigger! Brighter Lives also raises money for their projects through selling foods, hosting parties and bingo nights. They are currently planning a marathon too, with the backing of a company to sponsor t-shirts, and a local mall offering to help with advertising. 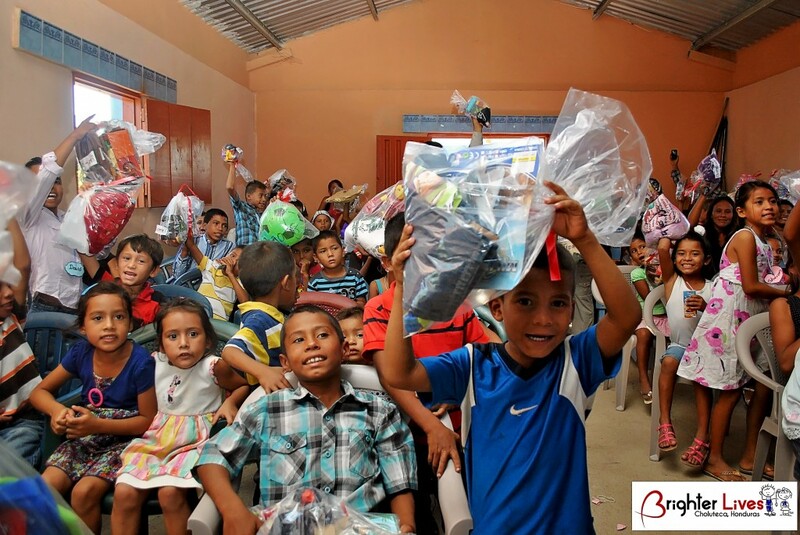 The organisation has brought out the humanitarian side of mankind, inspiring those willing to help the children of the second poorest country in Central America. Their most recent project helped Enrique Elissalde School, a school for children and adults who are visually impaired. The school has 2 teachers, 43 students and resides in one of the teacher’s living rooms, as they do not have funds to rent a classroom. Some students can only afford to attend class once a week because of the struggle to pay for bus fares. Brighter Lives introduced sponsors from Germany and USA to help fund transport for the students. With raised funds, they also managed to buy second-hand desks and chairs for the students to work on; ‘the improvement in their lives have been amazing’ according to Dunia. The organisation’s future plans are to help children who work in dumpsites, as many families can be found rummaging through trash in the hope of finding recyclable material to later sell for little money. Their aim is to stop the cycle of poverty: by nurturing the young to get the right education they need for a more enriching adult life which allows them to later send their children to school too. To see what Brighter Lives has done, visit the website. 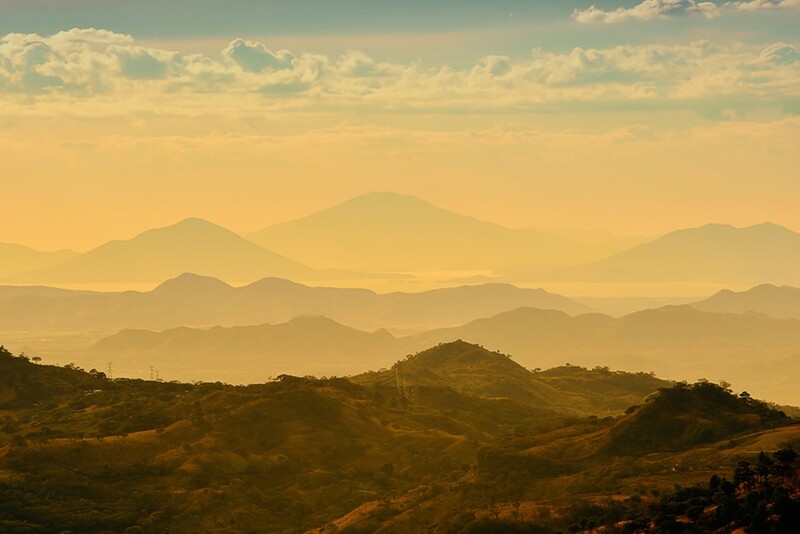 You can purchase Dunia Osorio’s photographs with all profits going to Brighter Lives. Visit their Facebook page. Lobster is excited to share how photography can change a life and ultimately, the world. Find more inspirational stories on the Lobster Blog. Do you have a story you want to share with us? Email [email protected], we love reading them! Learn More: Sell Your Photography, Explore UGC Galleries, UGC Licensing, About Lobster Marketplace, UGC Galleries on Lobster, UGC Subscriptions.